Founded in 1944, Kia is the fifth largest auto manufacturer in the world and today they promise “The Power to Surprise.” H-Tek Auto Care serves Kia owners in Johnson City and Gray and our team of ASE-Certified auto mechanics hope to surprise you with our superior knowledge of Kia’s when you are in need of auto repair or preventative maintenance. 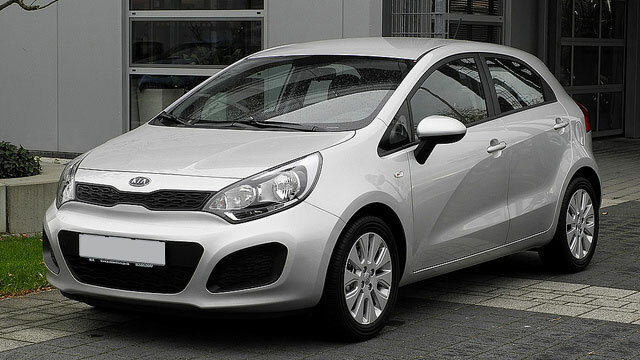 Kia manufactures some of the most highly designed and engineered vehicles on the road today at a moderate price. At H-Tek Auto Care, Eric and his team of auto mechanics will honor that same value by highlighting the areas within the engineering of your Kia that are calling for auto repair and want to develop a preventative maintenance schedule with you to keep your Kia on the road for years to come. “Htek can always be trusted in their work. Eric and his crew are detailed, accurate in their appraisals and you have confidence in the fact that the job will be done correctly.” -- David B. We back all of our repairs with a nationwide 3-year, 36,000mile warranty because we want you to drive away feeling confident in the handling of your Kia and we want to make you apart of the H-Tek Auto Care family. Servicing clients in Johnson City and Gray, we are proud of our five generation, auto mechanic lineage and when you utilize our shuttle service, chances are Don, Eric’s father, will be your driver. So, when your Kia needs servicing or auto repair, come visit us at 5882 Bobby Hicks Hwy., Gray, TN 37615 or schedule an appointment online.